Once known as the Pearl of Asia, Phnom Penh is Cambodia’s largest city and capital. While it may once have been the loveliest French built city in Indochina, it’s now one of the dirtiest cities I’ve been to in South East Asia. 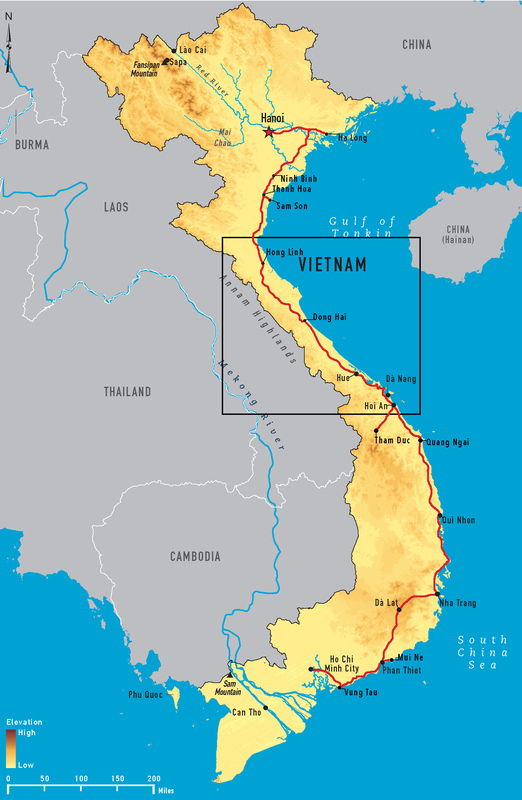 By 1975 the city had a population of between 2 and 3 million, including many refugees from Vietnam. A year later, the city was shelled relentlessly by the Khmer Rouge, killing and mutilating millions. The extremist communist regime then evacuated the city leaving it a virtual ghost town, claiming cities were havens of evil. The Khmer Rouge, led by paranoid leader Pol Pot, accused Cambodians of petty crimes, tortured them until they admitted to spying then shipping them to one of 320 execution camps. Over the course of 4 years the regime murdered nearly 3 million people in this manner before being run out by the Vietnamese army. Fifteen kilometres from Phnom Penh is the township of Choeung Ek. It is the location of the most famous of the murder camps, now simply called the Killing Fields. The site has 129 mass graves where over 20,000 people were executed. A buddhist memorial has now been built as a way to show respect to the victims. There is also an audio tour which takes about 2 hours. I’ve never seem such sad faces as I moved around the site. Because ammunition was expensive, executions were committed with hand weapons while music was played to mask the deaths. There’s even a tree against which children were smashed before being thrown into a pit. This was to stop them growing up and taking revenge on the Khmer Rouge. Overall, the experience was very sobering. During the 4 year Khmer Rouge regime, schools, temples and other institutions were considered evil and abandoned. One abandoned school in Phnom Penh was converted to a prison and torture facility. It’s now a museum and many of the rooms have their original metal beds and photos depicting prisoners in various states of torture. The highest religious structure in the city. Legend tells of a woman named Penh who found four buddha statues in a tree and built a shrine on this hill to protect them, thus founding the city. Phnom mean Hill and Phnom Penh literally means Penh’s Hill. A popular tourist site, the palace has a view out across the river. The sections where the King lives is closed to the public. Also known as the Silver Pagoda, it is located on the grounds of the Royal Palace. Its formal name, Preach Vihear Keo Morakot, means Temple of the Emerald-Crystal Buddha. It houses the Cambodian Emerald Buddha statue as well as a life-sized gold statue decorated with 9584 diamonds. The monument is a stupa dedicated to Cambodia’s independence from France in 1953. It’s also printed on the 100 Riel bill, a note worth about 2.5 US cents. Next, I head to the beach for a few days of sun and sand. I’ve recently ridden the length of Vietnam on a Scooter. Da Lat is in the southern highlands and is my first foray from the coast since my rained out trip to Tham Duc. This time the weather was amazing, with cloudless blue skies. Nha Trang’s crazy traffic was something I was grateful to leave and as I rode away from AH1 I rejoiced in the lack of roadworks and trucks. The road was one of the best so far as it slowly climbed into the mountains to a height of around 1500 metres. It got colder the higher I went and especially so when I was not in direct sunlight. I stopped for a break at an empty lot with a solitary tree that caught my inspiration. Most days I only pass one or two other tourist riders. Today I counted somewhere around 35 tourist bikes, many with passengers. I expected Da Lat to be a small mountain town but instead found a city surrounded by vast valleys of greenhouses. But then, it is the flower capital of Vietnam. While the motorcycle traffic was crazy, the city has a beautiful lake at its centre, along with pink blooming cherry trees. For only the second time on this trip I booked a tour, desiring to be driven around for a change. Our first stop was a flower farm, busy because of Valentine’s day and Chinese New Year. We also visited the Hang Nga Guesthouse, also known as ‘the crazy house’. Built by a local architect the house has many walkways, some going over the rooftops or across the yards. The guesthouse is so popular that bookings are required months in advance. The owner has purchased several houses in the adjacent block and is in the process of adding them to the initial house. Coming down from the highlands saw an interesting change in temperatures. The long windproof pants, shoes and socks, jumper and windproof jacket became too hot. As I got closer to Pan Thiet I had to pull over and take off the jumper, but was still hot. On a side note, hotels in Vietnam can be fairly cheap. This is what US$8.90 gets you. This includes cable TV, air con, double bed, ensuite bathroom, bar fridge and high-speed wireless internet. They aren’t luxury resorts and there’s no view, but you don’t really need these things when you’re either out exploring or sleeping. Eighteen kilometres from Phan Thiet is the popular tourist beach town of Mui Ne. Like Nha Trang, it’s very popular with Russian tourists, but while this seems to put some people off, I have no trouble with attractive Russian women. Exploring the area, I rode around several beautiful beaches (all unfortunately with their share of rubbish). I also found another Cham tower ruin similar to the one in Nha Trang. And I walked for a kilometre along the ankle-deep Fairy Springs. The red water leads through some very interesting formations in the white rock and orange sands. Today was so hot I wore shorts and a t-shirt instead of my full riding gear. The road followed Vietnam’s southern coast with plentiful beaches. Then, not far from my destination I had bike troubles again and I stopped to get it fixed. That brings my total bike issues to eight. I liked Vung Tau and wished I could have stayed longer, but with an expiring Visa I was running out of time. Even with the bike troubles, I still had time to explore the peninsula, and found this statue of Christ on one of the clifftops, listed as the 8th most famous Christ statue in the world. They like putting things on hills here, as there are ones with sitting buddhas, temples, towers and no doubt others. Then out on the water, there’s a temple out on a small island which includes a pair of bunkers from the war. Today was to be a short day, but it just wasn’t to be. While the bike gave me little trouble, it was my replacement phone that sent me off along the wrong path before freezing until an hour later when I managed to find my own way to the main highway. From there it was fairly straight forward all the way to the hotel, passing what I call the Face of Saigon, an attraction at the Soui Tien Cultural Amusement Park. While I’ve enjoyed this experience greatly, the problems with my bike have given me enough frustration that I’m glad it’s come to an end. Next, I explore Ho Chi Minh City and make preparations to sell my scooter.